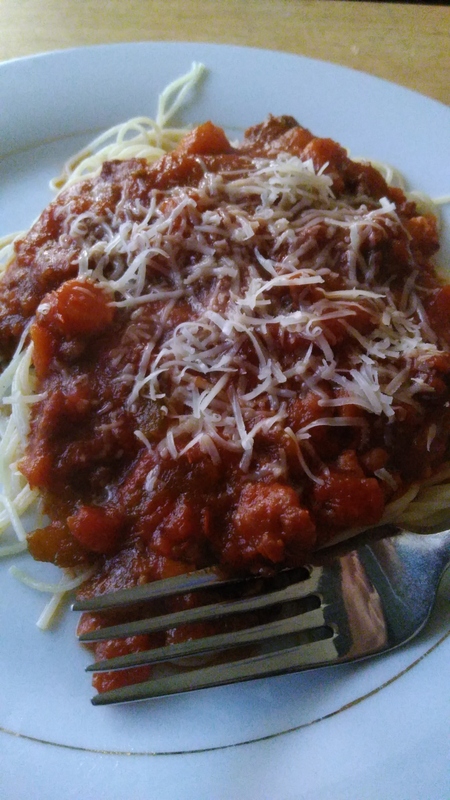 Italian Sausage Bolognese – What's for Dinner Moms? This was NOT one of the healthy dishes I made for my mother but rather the first dish when I got home from North Carolina the other night. My family had taken out bulk Italian sausage (a 1/2 sweet and 1/2 hot mixture) so I needed an easy way to cook it. The difference between Bolognese sauce and regular marinara is that marinara tends to be a quick cooking every day sauce while Bolognese is a more complex sauce built around meat, dairy,and stock. Bolognese is not laborious to cook but it does take 2-3 hours to cook down. I did mine in a large pot on the stove but you could easily put the mix in your slow cooker to cook down 3-4 hours on high or 6-8 hours on low. Every time my daughter walked through the downstairs she kept saying how wonderful the house smelled. It was true. You could smell the wine reducing and that sharp smell of the sausage. Everyone loved the sauce and there was a bit of competition who got the last two servings of pasta and sauce. I served this with a simple vegetable and green salad to complete the meal. In a large pot over medium heat cook the sausage, breaking it into small pieces as it cooks. Once sausage is browned remove it from pan with a slotted spoon. Leave behind about 1 tablespoon of grease. Add the celery, carrots, and onions to the pan. Cook until vegetables are softened and onions are translucent. Add garlic to pan and cook for 1-2 minutes until well fragrant. Add tomato paste to pan. While stirring constantly cook about 5 minutes until the paste turns dark red brick color. Keep stirring so the mixture does not burn. Add red wine, beef stock, and diced tomatoes to pan. Stir until well combined. Cover and cook over low heat at a dinner for 2 hours. Sauce will reduce by about half. Stir in basil, salt, black pepper, and Parmesan cheese just before serving. Taste and adjust spices as needed. I would say it freezes well. You may want to leave the Parmesan out of the dish and add it over the top as you heat it. That would be my best suggestion. Hope you like it! Thank you so very much! If you try it I hope you like it! 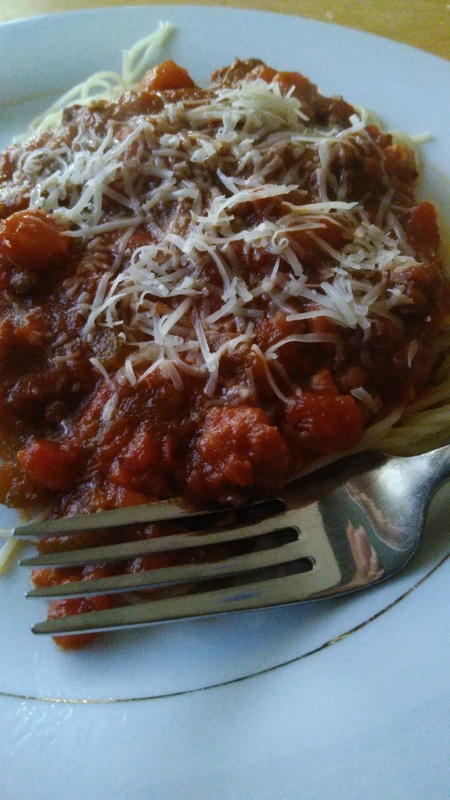 I enjoyed you post about Italian sausage bolognese. It looks very tasty and it’s easy to make. very detailed , I like how you use the same way i was taught ,Once sausage is browned remove it from pan with a slotted spoon. Leave behind about 1 tablespoon of grease. Add the celery, carrots, and onions to the pan. Cook until vegetables are softened and onions are translucent. i love pasta one of my favorite foods! How would you say it freezes? I would say it freezes fine. My one suggestion would be to add cheese after reheating it to avoid any clumping or grainy pieces. Thanks!